Manufacturing & Logistics IT spoke with a number of leading spokespeople from the vendor and analyst communities about current and possible future developments within the world of printing & labelling technology. This special technology report will investigate a number of key current and ongoing areas of innovation and development with the printing & labelling marketplace; one of the most critical and fast-changing technology environments within the manufacturing, logistics and retail sectors. Laurent Lassus, general manager marketing & product management at SATO Europe GmBH, opens the debate by making the point that current key talking points continue to be enhanced connectivity, traceability, integration and ease of use for end users. 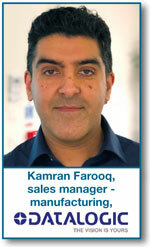 Kamran Farooq, sales manager – manufacturing, Datalogic, observes that while many companies in the logistics industry continue to deploy traditional printing and label systems to great effect, we are seeing an increased uptake of laser marking systems for marking directly on individual parts and components. “In many instances, customers have not marked components previously, or if they have, they’ve marked parts by hand which has led to inconsistent results,” he said. “For a lot of small component parts, printed labels are just not small enough and even for larger parts, thermal transfer or inkjet printing methods are not preferred as labels can easily become damaged or dirty rendering the content illegible. Farooq added that the marking speed has the potential to reach in excess of 1000 characters per second depending on the material. In addition, he explained that images, barcodes and logos can be imported and are quickly and easily replicated. “Due to the permanent nature of laser marking, the technology is ideal for applications where companies need to ensure traceability, provide protection against counterfeiting or compliance with regulatory standards,” he pointed out. Farooq considers that traceability is also a hot topic in a number of other industries; including automotive where it is becoming critically important to be able to accurately track and monitor every component part of a vehicle. Equally, he makes the point that laser marking can be put to good use in food and beverage manufacturing where there is a requirement to mark best before or use by dates directly to tins, bottles and more. 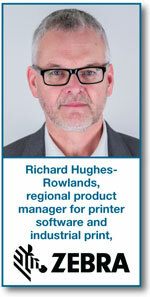 Richard Hughes-Rowlands, regional product manager for printer software and industrial print, Zebra Technologies, highlights three trends that are driving innovation at the moment. The first is the continuing adoption of printing as part of mainstream IT within companies; thereby making the traditional IT concerns of device management and security increasingly important to print. The second trend is usability. “With the growth in print, the increasing diversity of printer product types and the gig economy, it’s important that printers are easy to use, keeping the need for training to a minimum,” said Hughes-Rowlands. The third trend is the growth in alternative purchasing models, with more and more customers interested in exploring the pay-per-print model for their office copiers in a manufacturing environment. Graham Backhouse, general manager, BPIF Labels, reflects that there has always been consistent creative development within the pressure sensitive labelling market, and he believes this will undoubtedly continue way into the future. “There is a constant stream of more efficient, easier to operate iterations of existing equipment, but I see more and more attention being paid to streamlining the whole manufacturing process using communication technology to link manufacturing equipment, streamline order processing and communicate with the customer,” he said. According to VDC, this supply constraint has caused several major players in the barcode labelling market to increase product prices that use leuco dye. Some announced priced increases in the range of 10-15% for end users (for POS receipt paper and barcode labels) that came into effect in February this year. 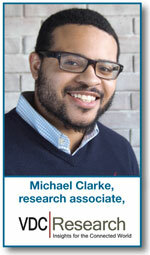 Clarke continued: “Apart from the leuco dye supply shortage, various other macroeconomic factors have affected the pricing and supply of thermal paper. Among the leading factors causing the price increases are a strong US economy, natural disasters, and a rise in the price of raw materials. The cost of freight has increased due to a strong US economy demanding transportation to ship goods and Hurricane Harvey further straining the trucking industry. The strength of the US economy has also affected profit margins for paper mills and converters due to increased wages and the devaluation of the US dollar, down 12% in 2017, has caused higher costs for imported raw materials. In addition, the cost of raw materials integral to the creation of thermal paper has increased, including pulp paper. Adhesive and polyester film increased as much as 40% due to the damage of the hurricanes. According to Frost & Sullivan, flexibility in design and materials will fuel growth in the automotive 3D printing materials market. It adds that adoption of 3D printing in rapid prototyping, by far the largest application in this industry, is driven by reduced lead time and costs for OEMs compared to conventional product development. Frost & Sullivan anticipates that 3D printing technologies will lead to the development of specialised micro-factories to produce customised parts as the automotive industry shifts away from mass production towards mass customisation. Frost & Sullivan forecasts the global 3D printing materials market in automotive transportation to generate revenues of $576.5 million by 2024, with an impressive compound annual growth rate (CAGR) of 17.8% between 2017 and 2024. Global 3D Printing Materials Market in Automotive Transportation, Forecast to 2024 reveals growth opportunities, drivers, external challenges, forecasts and trends, and market revenues across segments such as plastic powders, plastic filaments, metal powders, and photopolymers. Competitive strategies of key players such as Stratasys, EOS, and 3D Systems are also provided. Focus research and development on the production of novel plastic formulations (resins, powders, and filaments) suited for real-life applications and move away from prototyping. Concentrate regional additive manufacturing strategies in Europe and North America – where key automotive technology pioneers are located. Collaborate with machinery manufacturers for product, business model, and marketing development as machinery manufacturers exert control over individual printer material compatibility. Strengthen distribution bases in late-adopter and cost-sensitive markets such as China and India, among other Asian countries. 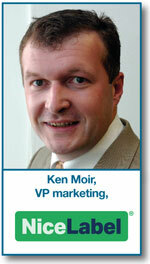 Understand the market to address the dynamic future needs of the industry and prepare for disruptive trends. 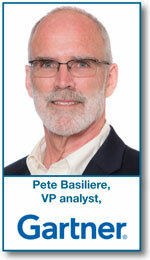 Pete Basiliere, VP analyst, Gartner, comments that organisations are using 3D printing to change their business models. 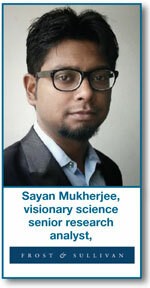 “It changes many of the calculations that have been made around specialty manufacturing. 3DP may never be as efficient as a three-story stamping press at banging out ribbons of metal into panels, but, in one shot, 3D printers can form complex – indeed impossible-to-make – parts that a press could never solve,” he said. Gartner’s Predicts research highlights three industries – medical devices, aircraft and consumer goods – that are making significant strides in implementing advanced manufacturing practices enabled by 3D printing. To a significant extent, the experiences of these industries can be applied to all manufacturing industries. GE Aviation’s new Advanced Turboprop engine design converted 855 conventionally manufactured parts into 12 3D-printed parts, resulting in 10% more horsepower, 20% fuel savings, a shorter development cycle and lower design costs (Source: GE Aviation). Prediction: By 2021, 25% of surgeons will practice on 3D-printed models of the patient prior to surgery. “Hospitals and specialty laboratories have increased the level of investment in 3DP hardware, software and services that integrate medical imaging, CAD and 3DP workflow software,” said Basiliere. Gartner estimates that nearly 3% of large hospitals and medical research institutions have 3DP capabilities on site (Source: Katherine C. Cohen/Boston Children’s Hospital). Gartner adds that, as 3DP technologies improve and the other technologies become more refined, 3DP as a COE will spread from teaching hospitals and specialty centres into the broader hospital system. One example is Boston Children’s Hospital, where they take a team approach to training and surgical planning. Clinicians, industrial engineers, designers, simulation experts, illustrators and patient care teams are all involved. As more 3DP capabilities come online, Gartner expects surgeons and medical staff to increase the demand for 3DP capabilities to be delivered in ‘turnkey’ fashion. 3DP will move from obscure back-office labs more into the forefront as part of a strategy to improve surgical training and simulations. Gartner points out that midsize enterprise manufacturers are beginning to follow suit in COE establishment, but with smaller investments. “These companies tend to outsource 3DP services, as both the capital costs and specialised labour required are often too large a barrier to justify the program,” said Basiliere. In terms of the relationship between some state-of-the-art printing and labelling systems and back-office systems, what do our commentators consider to be some of the key recent changes? Schüßler reiterates his point regarding the offer of easy to integrate SDKs for all relevant platforms, which today also includes iOS. Backhouse reflects that over recent years industry suppliers have increasingly seen the benefit of offering a complete solution or being part of a complete solution offer, resulting in increasing co-operation between suppliers aimed at streamlining the workflow and being able to offer a full end to end solution from design concept through post press, linking of proofing, printing, converting and distribution processes. “We now live in a world where employees have grown up with the Internet of Things (IoT) and they naturally look to use the interconnectivity as a benefit that should be fully utilised,” he said. What have been the subsequent benefit improvements for the user? 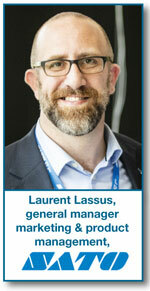 Lassus pointed out that empowering the end-user to make on-the-spot, on-demand decisions – based on access to accurate, up-to-date data – reduces wasted time to virtually zero. “Take a large touch screen displaying multilingual training videos for example, or a device that caters for the loading of multiple consumable formats in a few easy steps; these are attributes that integrate the IoT into the modern workplace in a manner that’s effortless for the user,” he said. Schüßler sees the biggest benefit in the fact that the time to market, as well as the time needed for the training, is shorter. Also, according to Schüßler, the acceptance by the people who use the systems every day is higher due to the fact that they work with something that they already know. Beside that, Schüßler believes decentral device management is a big plus. Hughes-Rowlands added that the growth of device mobility and ubiquitous connectivity have also been large influences. “For example, all newer Zebra printers now offer Bluetooth,” he explained. “For some mobile printers this will be the only way they communicate, for other printers it may just be a temporary connection that is used for set-up or fault finding.” Hughes-Rowlands also made the point that Bluetooth is a great way of connecting other devices such as scanners directly to the printer. Forshay considers that increased openness from an integration standpoint has been a significant improvement for end users, as the ability to consider additional hardware and software options is always a positive in terms of total cost of ownership. Another development he highlights is the improvement in ‘out of the box’ integration between the ERP/CRM/WMS, the data collection device, and the printing mechanism. “This integration simplicity allows for either fewer modifications or fewer points of failure due to the lack of necessity of employing additional integration software,” he noted. 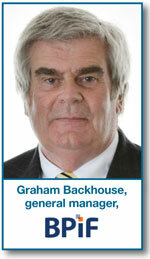 Backhouse reflects that in label production there have been many developments that impact in varying degrees on the efficiency, cost and employee hours. “End users increasingly benefit from linked systems and processes with increased communication and visibility at all stages,” he remarked. With regard to technology convergence within the current printing & labelling systems and related equipment marketplace, do our commentators see this as a good or bad thing? Schüßler sees this as a positive area of development. “Everything which makes life easier, operations leaner and customers happier is a good thing,” he said. Schüßler reflected that while a few years everybody was investigating if BYOD (‘bring your own device’) could be a solution most end users understood that this can cause massive security problems. “At the same time, many recognised that an end user mobile device cannot be compared with a professional tool in many regards such as durability or availability over a project life time of several years,” he added. Forshay made the point that data collected externally could be compromised in a number of ways (incorrect formatting, pauses in the string of data being collected, etc.) – making printing using a disciplined process difficult. “Printing using such data requires internal system intelligence to rationalise or clean any anomalies in order to produce a clean print or label,” he said. Another recent change highlighted by Forshay is the ability to produce the actual label or hard document via a printer that is not directly tethered or otherwise electronically connected to the ERP/CRM/WMS system. “While this is offered a convenience to customers and/or end users, this adds an additional layer of complexity to an already intricate process,” he said. With this in mind, Lassus pointed out that SATO will continue to develop user-friendly features and customisable technology for ease of integration and ensure that its devices are compatible with environmentally responsible solutions, such as SATO’s linerless labels, as demand increases for sustainable options. “To date, omni-channel strategies and tech have often worked against each other and we see a coming together of the two as we work with our customers to understand end-user challenges,” he added. 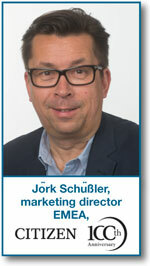 Schüßler considers that we could see more compact solutions that give customers benefits with regard to space at their points of print; especially if they have the need to print several different things. Outside of industries where certain marks and serial numbers are required for compliance purposes, Farooq believes there is a possibility that product printing and labelling may be superseded by different technologies. He added that printed barcodes are commonly the most reliable way to identify products on the production or distribution line. However emerging and evolving machine vision technologies, including sophisticated image recognition software, are able to accurately identify objects by their size, shape and visual features such as branding on the packaging. “This could be particularly game changing in logistics and offers to opportunities to further automate pick, pack and fulfilment processes,” he remarked. 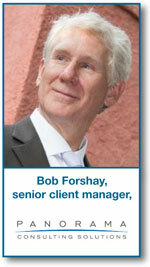 Forshay foresees the continued development of the ability for a printed document or label to give ‘real-time’ information in a proactive instead of a reactive manner. “Instead of a label ‘waiting’ to be accessed by a user, the label will utilise rules and data to determine when to inform due to changes in the entity that is labelled,” he said. Forshay added that another development is to continue to allow for a user outside of a closed system to access data via a label or printed document. 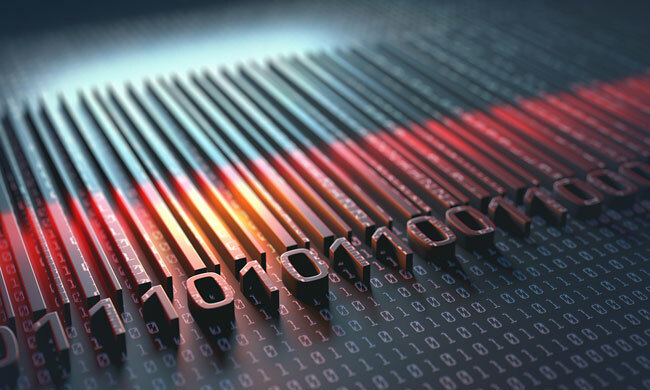 “This will allow organisations to market better transparency between themselves and the end customer due to the end user’s ability to access data via labels or printed material,” he explained.